Is This The Highest Surge Price Ever Recorded In Uber History? 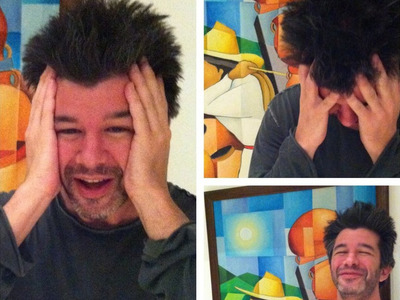 Uber’s BlogUber CEO Travis Kalanick after New Years in 2012, when surge pricing complaints peaked. Surge pricing is economics 101, mobile ride-hailing company Uber preaches. If you want supply to keep up with increasing demand, you need to incentivise drivers to get on the road and come pick you up. “By *raising* the price you *increase* the number of cars on the road and maximise the number of safe convenient rides,” Uber explained in a surge price blog post. “Nobody is required to take an Uber, but having a reliable option is what we’re shooting for”. Throughout the company’s four-year history, some high surge prices have been documented. Jessica Seinfeld, wife of comedian Jerry Seinfeld, once spent $US415 during a snowstorm with ~ 8X surge pricing. Last New Years, some New Yorkers paid as much as $US350 for a quick Uber ride during surge. Technically, there’s no cap on how high Uber surge pricing can go, unless there’s some sort of natural disaster or public emergency in the US. Then, Uber is required to cap its surge pricing at “the normal range of prices it charged in the preceding sixty days,” excluding the three highest fares during that timeframe. That 8X surge is nothing close to Uber’s high, however. In Stockholm late last year, the company “tested” demand at a 50X surge. 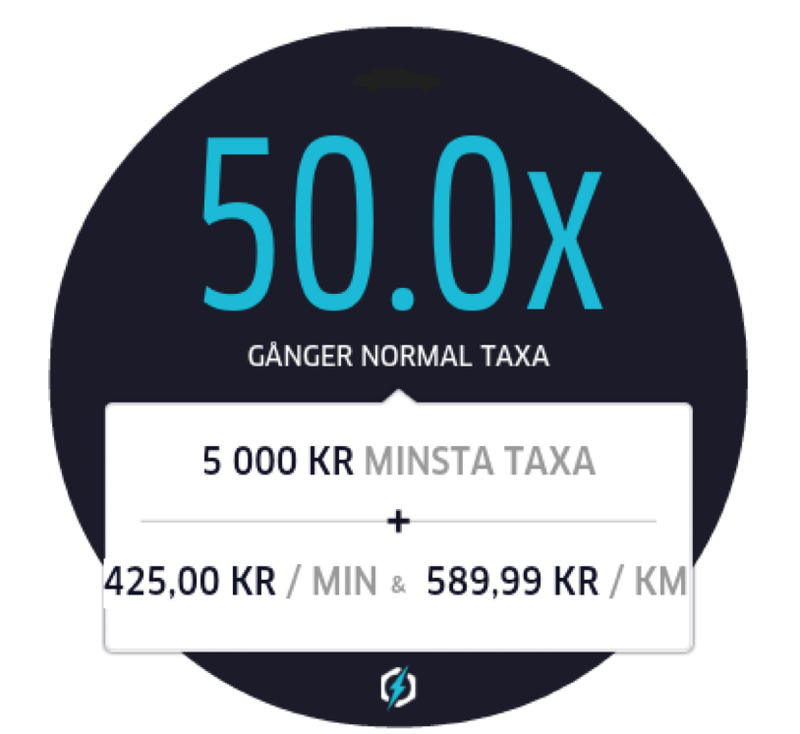 Apparently no users accepted an Uber ride at that price, and the 50X surge seemed to be a glitch that was quickly fixed by Uber’s team (it wasn’t as though surge pricing ticked up slowly from 40.9X to 50X and tipped due to demand). In other words, Uber’s 50X pricing wasn’t dynamic pricing. Still, it was crazy enough that Uber called out the 50X surge in an internal presentation obtained by Business Insider. “Special mention [to Stockholm] for testing demand at 50X,” the presentation reads. Here’s a screenshot of what’s possibly the world’s highest Uber surge multiple ever documented. 425,00 kr is equivalent to $US57 per minute. So a five-minute ride at this surge multiple would cost you about $US285. Business InsiderIs this the highest Uber surge multiple ever recorded?